You do not have to set up an account but having an account with us speeds up the ordering process and saves you the hassle of filling in your details every time you shop with us. It will also enable you to accumulate Fleur points and enjoy member benefits such as a 5% on all regular priced items and additional 5% on the first order made in your birthday month. Setting up an account will also allow you to track your order history and status. Click here to rest your password. How long are the items kept in my cart for? For registered members, your items will be kept in your cart for 8 weeks. For non-registered members, the items will be kept in your cart for 1 week. Please note that items in the cart do not mean that they are reserved for you. Pre-order is a special section where we release the products in advance of their planned launch dates. This section showcases products which are already in stock (indicated as "IN STOCK") with no waiting time required, and products which require some waiting time (indicated as "PRE-ORDER"). We are afraid we do not allow changes to be made to your order once it has been placed. However, if you would like to amend or combine orders, please drop us an email at hello@thefleurlabel.com. We will try our best to accommodate your request (provided that the parcel has not been shipped). Request for cancellation of orders are not allowed. Is my order secured after i add it into my shopping cart? Unfortunately, no. In order to guarantee your item order, you are advised to check out and make payment as soon as you can. We do not allow reservation of merchandise. Should you face any difficulties, please email us at hello@thefleurlabel.com for further assistance. Can you help me reserve a merchandise? Yes, the merchandise will be reserved for you within the stipulated time frame upon successful check out. After the window has passed, we will release it back to the system. My order includes both instock and backorder item(s), when will it be shipped? If your order includes backorder item(s), you can select whether to ship as one shipment after backorder item(s) arrive, or to ship backorder item(s) separately. Do you charge a fee for PayPal? We absorb fees for payment gateways so that you do not have to bear any additional charges. How do I know if my Paypal / credit card payment is successful? Upon selecting PayPal at check out page, it should lead you to a separate window for payment on PayPal’s website. Kindly ensure that payment transaction is complete and confirmed before closing all windows. Upon successful payment, an email invoice will be sent to your registered email account. My payment for my order is declined. What can I do? We will not be able to process any order(s) if the payment is not made and verified by The Fleur Label. If your payment is declined, check that the card details entered (e.g. name, expiry date, CVV, etc) are correct. It is best to contact your bank if the problem persist. Try making payment with another card. Alternatively, choose another payment mode. What is the payment time frame? Internet banking / ATM bank transfer must be completed within 24 hours. PayPal payment must be completed within 1 hour. After I have made payment, what do I do next? For internet banking / ATM bank transfer, log in to your account and update your payment information. Alternatively, click on the link stated in your order email and you will be directed to update payment information page in your account. For credit cards & PayPal payment, we will be notified by our system of your payment immediately after it was made. Hence, no further action needed from you. What if I cannot make payment within the time frame upon check out? 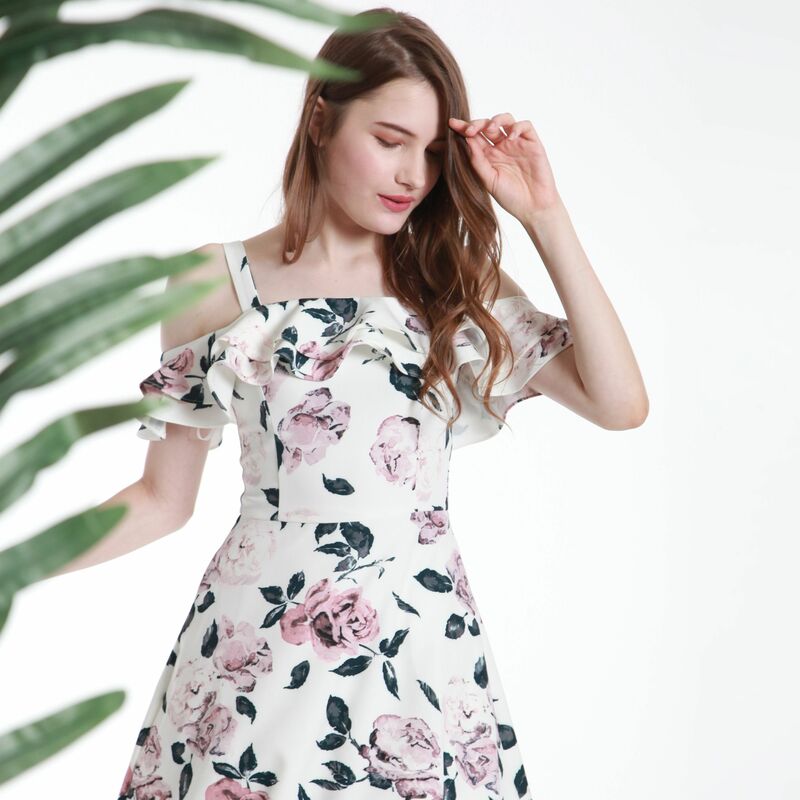 For some reasons that you cannot make payment within the time frame upon successful check out, please email us at hello@thefleurlabel.com with your invoice number, we will be glad to assist. Otherwise, all orders which are left unpaid after the time frame upon successful check out will be automatically cancelled and added back to our system. See local (Singapore) shipping rates here. See international shipping rates here. An email with the shipment tracking number will be emailed to you once parcels are dispatched. Alternatively, you can login to your account to view the shipment tracking number, and all order related information. How do I track my local (Singapore) order? There is no tracking available for parcels mailed via Singpost normal mail. For parcels mailed via Singpost Registered Mail, you can track your registered parcel on SingPost website here. For parcels mailed via local courier, you can track your registered parcel on Roadbull's website here. How do I track my order (Malaysia)? You can track your international mail via Pos Laju here, J&T Express website here, or Nationwide Express website here. How do I track my order (international)? You can track your international mail on Singpost website here. What if I have entered an incorrect mailing address during check out? If you have entered an incorrect mailing address, please email as at hello@thefleurlabel.com with your invoice number. We will try our best to catch the parcel before it is out. However in cases where the parcel has already been mailed, we will have to wait for the rebound parcel to be sent back to us. All returned parcel due to incomplete or incorrect mailing address will be charged a re-delivery courier fee of S$4.50 per parcel before it can be shipped to the correct address. Why am I charged for re-delivery fee? The Fleur Label will not be held responsible for parcels returned to us due to incomplete or incorrect mailing address provided. Hence, the shipping fee will be charged for a re-delivery. Please note that parcels not collected after 2 weeks from date of notification from us will be disposed off without prior notice. Strictly no refunds will be made for such cases. We provide 1:1 exchange for all regular priced items within 14 days from the date of mailing/dispatch (i.e. shipment notification email). For more details, please read our Exchange and Return policy. You can return any regular priced item(s) for store credit within 14 days from the date of mailing/dispatch (i.e. shipment notification email). For more details, please read our Exchange and Return policy. We accept returns for regular priced items within 14 days from the date of mailing/dispatch (i.e. shipment notification email) in exchange for store credits. Entire orders purchased with discount codes, gift cards, store credits or reward redemption points are not valid for returns. Return item must be in its original condition and packaging, unwashed, unworn, unscented, and with clothing tag intact/attached. Please also note that restocking fees of S$3.50 for the first returned item and S$2.00 for each subsequent returned item(s) will be deducted before we issue a store credit. This restocking fee is used to cover the subsidized shipping in your initial order and all associated costs to the business for processing your return order. Where your order basket falls below the required threshold to qualify for free shipping after the return, applicable shipping fees will be deducted before store credit is issued. How/when do I return my item(s)? Email us at hello@thefleurlabel.com with the email subject [Return – Order xxxxxx] stating the item(s) you wish to return. You will receive an email with a return form and further return instructions within 7 days. Your return must reach us within 7 days thereafter. Any return received after the stipulated time will be denied. Customers can mail back the item by their preferred type of mailing. However, all merchandises are your responsibility until they reach us and we will not be liable for any packaging/postage fees incurred or lost/delayed mails. As such, we strongly encourage returns to be mailed via trackable mode. Can I opt for a cash refund upon returning my item(s)? Cash refunds are not provided for returns. Will I be reimbursed for return delivery charges? Delivery charges incurred for return will not be reimbursed. I have received an incorrect item. What should I do? We apologise if an incorrect item was mailed out. Please email us at hello@thefleurlabel.com with the email subject [Incorrect Item – Order xxxxxx] and photos of the wrong item within 7 days from the date of mailing/dispatch of parcel (i.e. shipment notification email). If a replacement piece is available, courier delivery will be arranged to deliver the correct item in exchange for the incorrect piece. Kindly ensure that the return item is securely packed and addressed to The Fleur Label before handing it to our courier. If a replacement piece is not available, store credit will be issued. No cash refunds will be provided. Customers are requested to return the item via normal mail with a certificate of posting from the post office. We will not be liable for any packaging/additional postage fees. Postage fees incurred will be reimbursed in the form of store credit. I have received a defective item. What should I do? We apologise if you have received a defective item. Please email us at hello@thefleurlabel.com with the email subject [Defective Item – Order xxxxxx] and photos of the manufacturing defect within 7 days from the date of mailing/dispatch (i.e. shipment notification email). We will ascertain the defect and advise you further. If a defect is ascertained, an exchange of the same item in the same size and colour will be provided. Customers are requested to return the item via normal mail with a certificate of posting from the post office. We will not be liable for any packaging/additional postage fees. Postage fees incurred will be reimbursed in the form of store credit. Upon receipt of the defective piece, a replacement piece (if available) will be shipped via the original mailing mode selected within 3 working days upon receipt of the defective item. In the event where a replacement piece is not available, store credit will be issued. No cash refunds will be provided. The colour / measurements are inaccurate. What should I do? As our apparels are mass manufactured, difference of up to 1 inch from the stated measurements will not be considered a defect. The method of measurement may differ slightly from person to person, hence in this case, there may be slight discrepancies due to the way the product is measured. There may be slight color discrepancies arising from different computer screen resolutions, and from the strong studio lighting used. These will also not be considered a defect. Please email us at hello@thefleurlabel.com if you require further assistance. Can i return my items purchased under Basic/VIP member discount? Yes. We accept returns for purchases made under BASIC/VIP member discount. What is a store credit? Store credit is issued in the event of any return of regular priced items. It is used to offset against a new order. Store credit is only valid for purchase of regular priced items. When will I receive my store credit? Store credit will be issued within 7 days from date of receipt of your returned parcel. Please avoid dropping us multiple emails as it may create confusion as we are trying our best to process all returns requests as soon as we can. What happens if my purchase is less than my store credit value? You will still be allowed to utilise your store credit, but any balance will be forfeited. I have obtained a store credit/discount code. How do I use it? On the order summary page during the check out process, the system will prompt you to enter a discount code. Enter the store credit/discount code which you have obtained and click “Apply”. Please verify the discounted amount and all shipping charges before confirming your order. Please note that store credit and discount codes are non-stackable. Can I utilise both my store credit and discount code in the same order? No. Our store credit and discount codes are non-stackable. As such, store credit and discount codes cannot be utilised at the same time. Each order only allows the use of one code (e.g. discount code / free shipping code / promotion codes / store credit / etc). Store credit has a validity of 3 months. If it is not utilized within the given time frame, the amount will be forfeited. Requests for extension of vouchers before its expiry date will be processed on a case by case basis. Once the expiry date has passed, we would not be able to process the request. Can i transfer my store credit to another person? Store credit issued are linked to each individual’s account and email address, hence it can only be utilized by the account holder. They are non-transferable in nature.